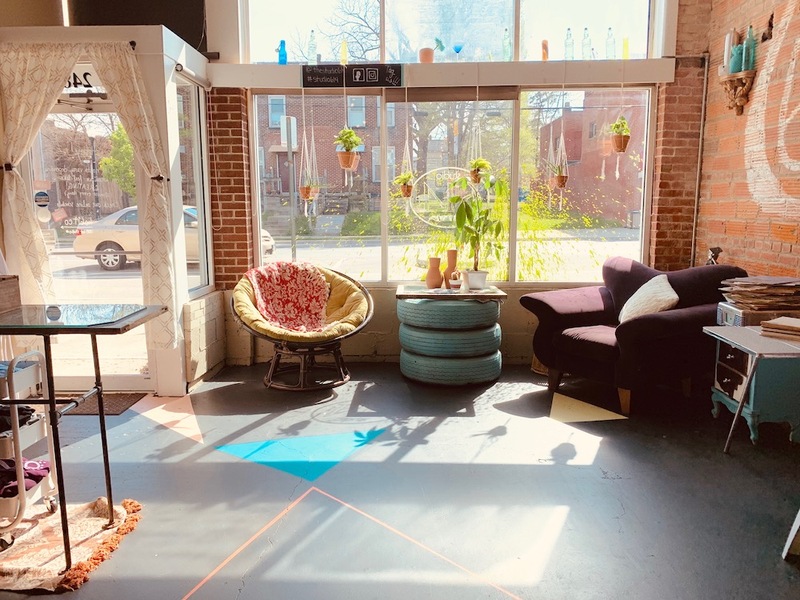 Featuring exposed brick and mid-century modern decor, guests will feel transported decades into the past as you visit this creative mid-century art studio. 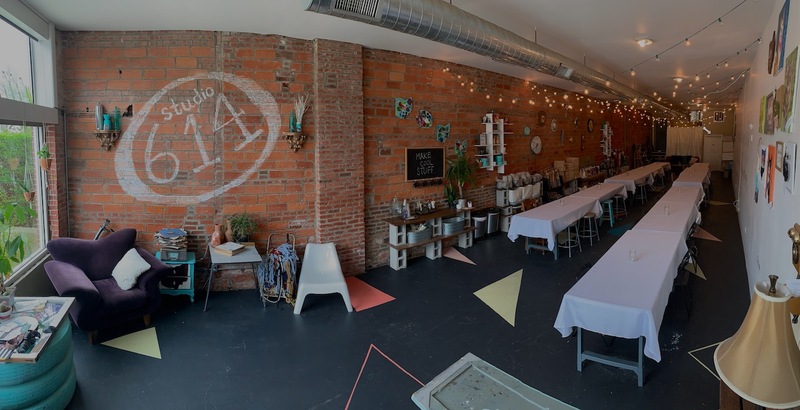 Our space allows guests to relax, “check out of the real world,” and become immersed in the party or social event. 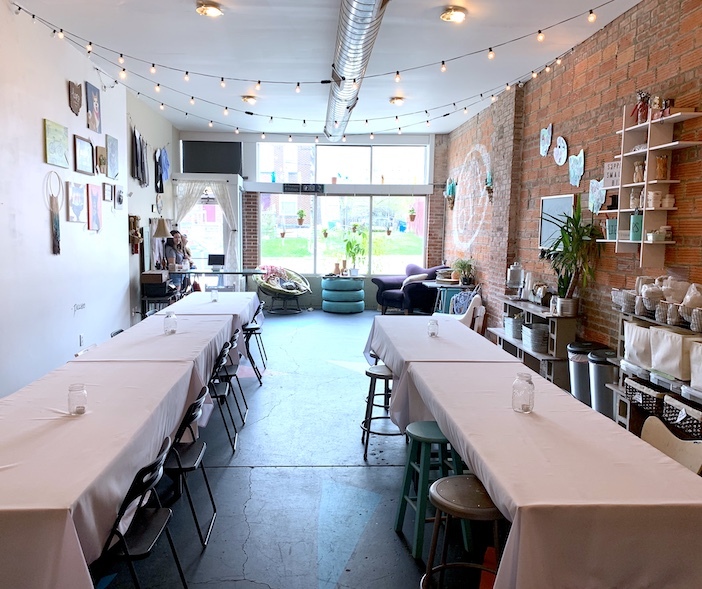 Our venue is one of a kind and is the perfect space for your next event! Cost includes: our 1500 square foot space clean and organized to fit your needs, 40+ chairs, 10 tables, dish-ware for food and drinks (as needed), bottle openers, surround sound music with our categorized Spotify stations (and an auxiliary cord for your own device, if desired), audio & microphone capabilities, and a photo booth. Bridal and baby showers, graduation parties, bachelorette parties, banquets, corporate events, family reunions, birthday parties, retirement parties, anniversaries, sorority events, wedding receptions, going away parties, engagement parties, holiday parties, viewing parties, cocktail parties, fundraisers, religious receptions, speed dating event, and more! See Inside our Google Virtual Tour!